Each year Electronic House chooses from dozens of entries submitted by home systems integration firms across the country the most innovative, state-of-the-art smart homes. You can find articles at electronichouse.com about some of these award-winning residences, like our Gold Before and After project and Gold Unique Space. Others winning projects will be featured on our website throughout the summer. Each winning home is distinct and different than the rest, yet many utilize similar smart home products and systems to add comfort, convenience, efficiency, and entertainment to the home environment. There were some clear smart system favorites among the professional integrators and homeowners. One of the most modular, integration-friendly home automation systems available, Control4 was utilized in 10 of the homes honored as a 2017 Home of the Year. In the business of smartening up homes since 2003, Control 4 has a long history of offering systems that can suit one room or an entire estate. The system can be designed and priced to automate only A/V equipment or everything but the kitchen sink, including lighting, security, HVAC systems, motorized window shades, swimming pool systems, and more. Control4 solutions interoperate with nearly 10,000 third-party consumer electronics devices—and that number is rapidly growing. By partnering with the biggest brands in consumer electronics, appliances, energy, lighting and home security, Control4 is able to ensure that homeowner can choose the smart products that they like and know that it will likely be able to be controlled and automated by a Control4 system. 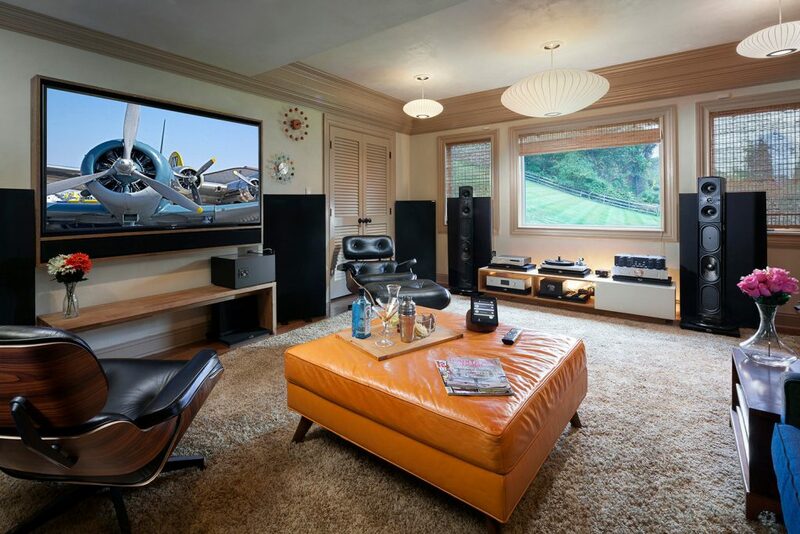 A Control4 system helps this multipurpose entertainment space transition from a home theater to a two-channel listening environment. It earned the Gold Award for Best Casual Entertainment Space. Design and Installation by Electronics Design Group, Piscataway, N.J. 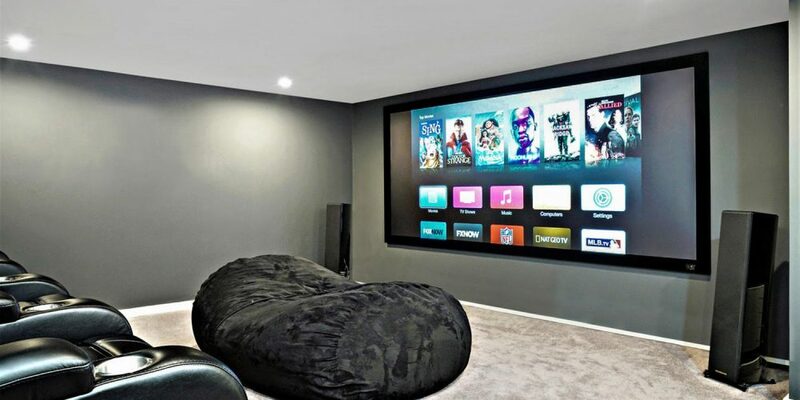 Anyone who is a fan of Apple gravitates naturally to a Savant home control system. Apparently, many owners of the winning Homes of the Year fall into this category, because the brand was installed in at least eight of the residences. The system consolidates that automation and control of just about anything you want, making it robust enough to be the system of choice of some of the smartest homes entered in the Homes of the Year contest for 2017. Savant is was automation system of choice for the Electronic House Gold Before & After project. Design and installation by MediaTech, St. Charles, Ill. The Sony 5000es 4K projector is featured in the Electronic House Gold Home Theater, $75,000 and above. This project was designed and installed by Nantucket Media Systems, Nantucket, Mass. 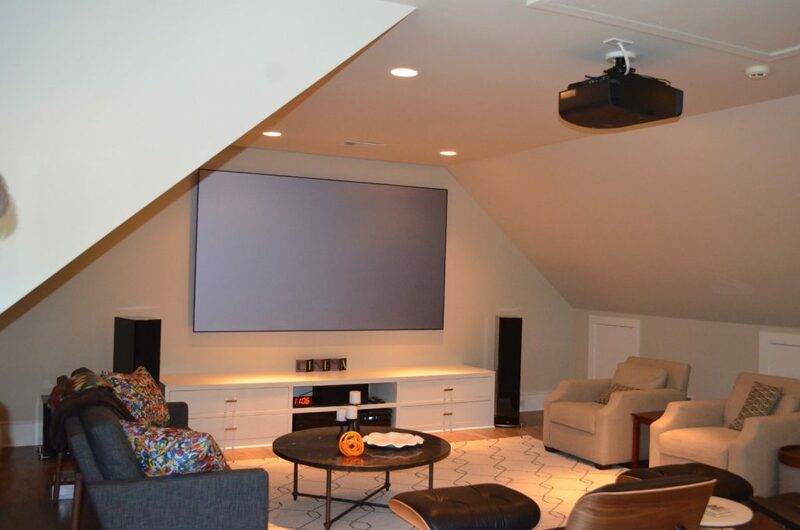 Sony offers such a wide variety of home theater projectors, it’s no wonder they wound up in 11 Home of the Year cinemas and media rooms. Most pervasive in these homes are projectors from the company’s ES line, which includes many 4K models. In the Homes of the Year these are used both in simple multipurpose entertainment spaces and high-caliber dedicated home theaters. What’s also attractive about Sony’s video projector lineup, and how they are used in the award-winning homes, is their ability to be easily integrated with many brands of home automation systems, such as Control4, Crestron, and Savant. Lighting plays an integral role in a smart home environment, and by far the most popular lighting system utilized by our Homes of the Year comes from Lutron. In existing homes Lutron’s wireless lighting control systems were popular; its hardwired options are most prevalent in newly constructed homes. No matter what type of Lutron system is employed, it operates as part of a larger, comprehensive home automation system. The homeowners can use the smartphone app, touchpanel, or remote control of their chosen home automation system to also operate the Lutron lights. 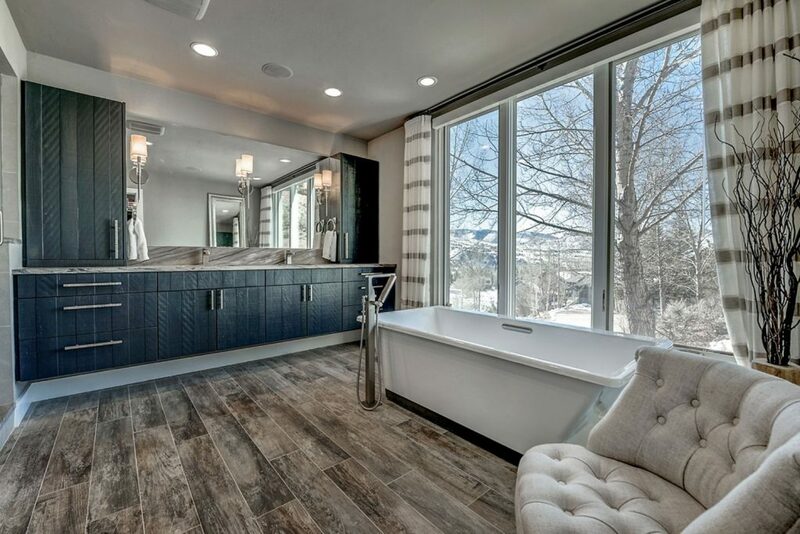 Still, in most of the homes Lutron keypads were installed to offer homeowners a way to quickly set the lights and activate lighting scenes as they walk into a room. Paradigm makes a wide range of loudspeakers to suit any application, be it a home theater or a distributed audio system. There are speakers that stand alone and those that can be built into walls and ceilings. The company also makes subwoofers and weatherproof speakers to use outdoors. However, the type that was used most often by professional installers of our Homes of the Year contest is Paradigm’s CI Home Series. Available in many sizes, shapes, and styles, these speakers are designed to be installed flush with the wall and ceiling, and can be used as part of a whole-house audio system or a surround-sound system. Paradigm speakers envelope the owners of this Bronze Smart Home, Less than $150,000, will surround-sound effects. 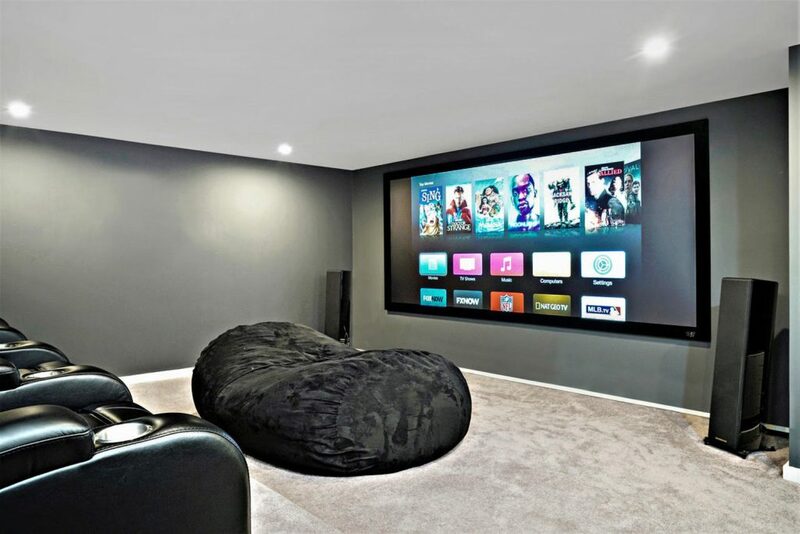 Design and installation by Atlanta Audio & Automation, Atlanta, Ga.
Screen Innovations makes many different types of video projection screens: fixed, motorized, big, small, really whatever the entertainment room needs. Based on the screens integrated into the entertainment spaces of our award-winning homes this year, a favorite is the Screen Innovations Black Diamond. Introduced in 2008, the screen of the Black Diamond was engineered to reject ambient lights, which means it can reproduce bright images even when the room lights are on. What really sets it apart, though, is its Zero Edge frame. This makes it look more like a huge flat-panel TV than a projection screen. Also, in some of the homes the homeowners elected to add an optional LED backlighting system to the screen. Installed around the perimeter of the screen, it adds an eye-pleasing effect to the design of the room. The Black Diamond screen from Screen Innovations produces a larger-than-life video presentation in this recipient of the Electronic House Silver Before and After award. 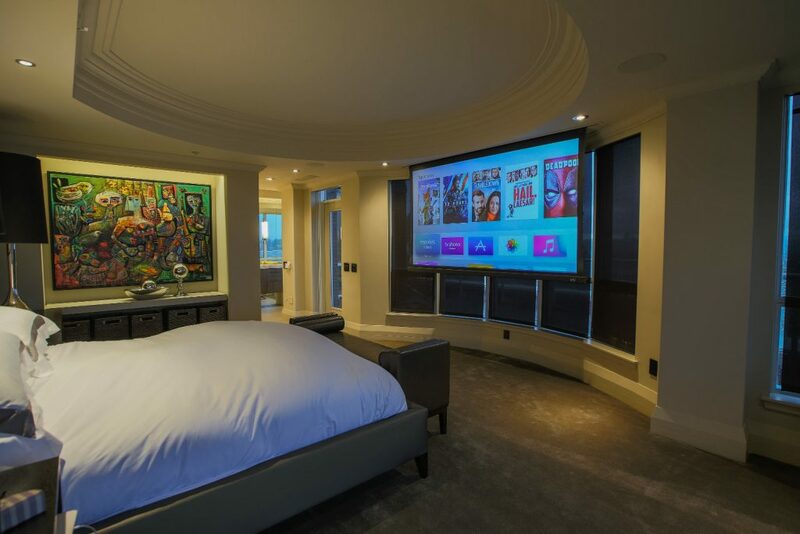 Design and installation by Global Custom Integrations, New York, N.Y.
We thought we had seen in all, when one of our award-winners floored us with a curved 65-inch Samsung 4K TV installed directly on the surface of the ceiling above a bed! Granted, this application of a TV is a bit unusual, but there seems to be nothing strange based the number of Samsung units installed in this year’s award-winning homes, about peppering a residence with nothing but 4K Samsung TVs. Many of these TVs are tied to video distribution systems so they can all derive content from the same rack of video components. 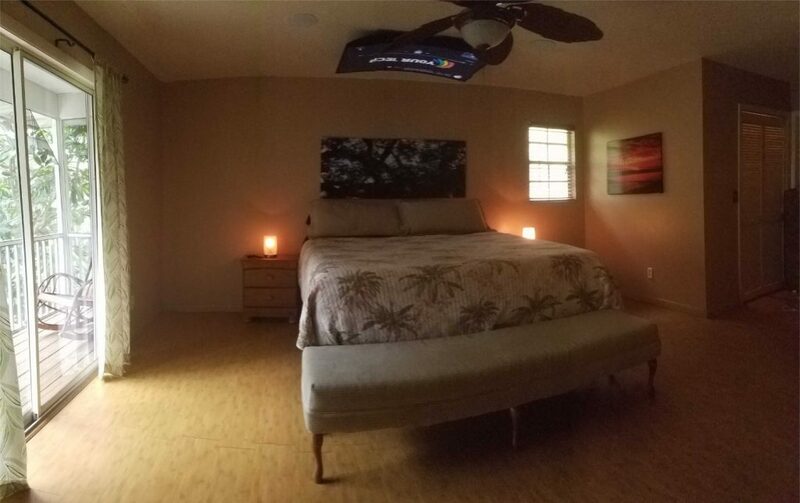 A 65-inch curved Samsung TV mounted above the bed is a highlight of our Gold Smart Home, Less than $150,000. Design and installation by Your Tech of Naples, Naples, Fla.
For more than 30 years Sonance has offered loudspeakers for the home. With a solid footing in the home system industry, it’s a clear brand favorite among the integration firms that designed and installed the smart home technologies in the 2017 Homes of the Year. Five homes are outfitted with Sonance speakers, and this includes its architectural series that sit flush with the wall and ceiling surface, outdoor speakers that blend in with the landscape, and Launchport, which offers a convenient in-wall docking station for an iPad. At the heart of any great home entertainment system is an A/V receiver. 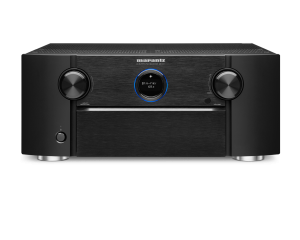 Marantz was the preferred receiver brand of several of our Homes of the Year. There’s a lot to like about the Marantz lineup: the ability to process Dolby Atmos, DTS:X and Auro 3D surround sound formats; music streaming capabilities, and 4K compatibility. QMotion motorized shades and draperies snuck in as a Top 10 Homes of the Year smart home solution. Homes with QMotion products exhibit decorative appeal, as well convenience of control and energy saving features. Plus, they are the only motorized shading solution with a manual override feature, allowing the shades and drapes to be operated by hand when it’s more convenient than grabbing a remote control. 24/7 Audio Video. Google Home vs. Amazon Echo Show: Which Works Best?